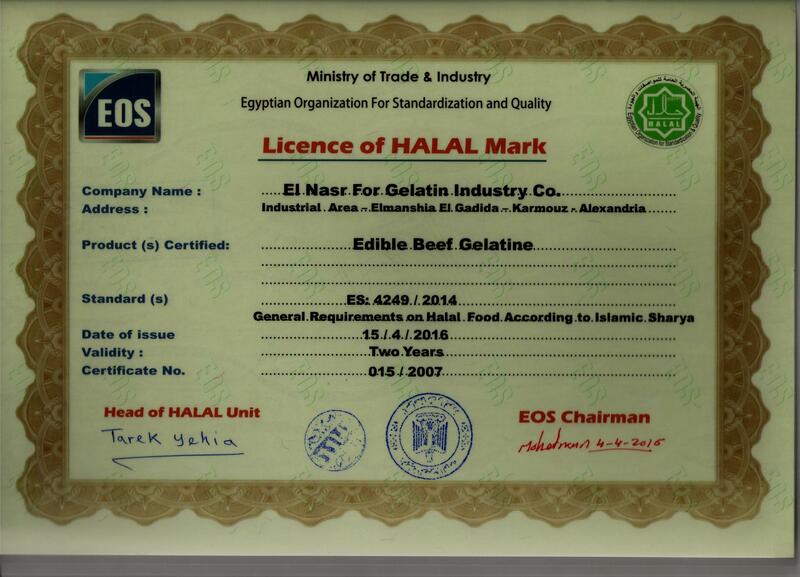 It is our pleasure to introduce ourselves we are "El Nasr Gelatin Company" Egyptian Company known as one of the largest Manufacturer, Producers and Exporters of Halal Edible Gelatin in Egypt and the Middle East. 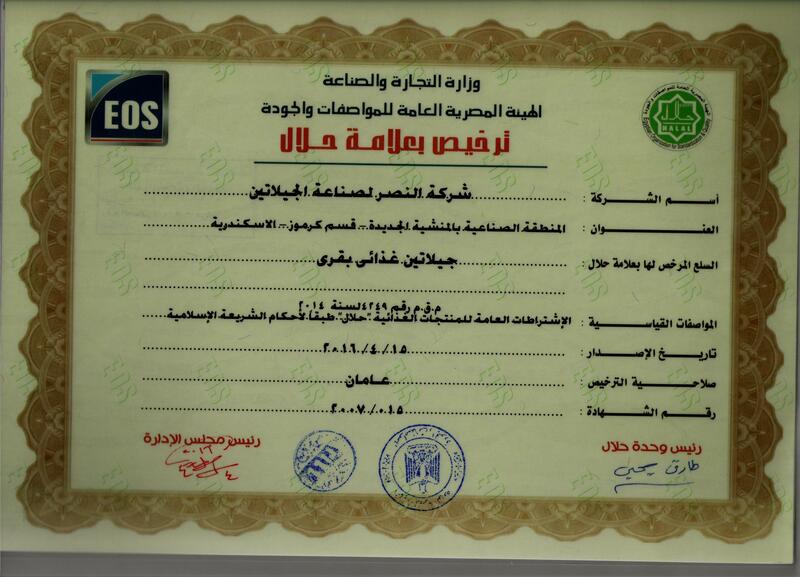 The Company holds (ISO 22000) and (OHSAS 18001) Certificates. "El Nasr Gelatin Company" is unique by being one of the leading companies in the manufacture of gelatin in corresponding to the international standards. Gelatin is being produced from hides of cows and buffalos that have been slaughtered according to Islamic sharia law. According to the above, the company extended its sales in Islamic markets specialy in Saudi Arabia , Syria, Jordan, Qatar, and oman. 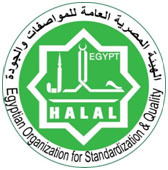 The production in the company are according to Egyptian standards 1233\2007 for gelatin used in food products and this standard confirms the quality of products in terms of requirement, physical and biological properties that make sure that the product is free from any diseases or infectious microbes for human beings, also ensure safety of products and validity of human consumption . The company products is subject to monthly inspection from ministry of health , and the product is analyzed in its specialized laboratories , a validity of human consumption and absence of disease certificate is issued. The company product is subject to Egyptian general authority for veterinary services to ensure that the used hides is free from diseases that infect humans and animals , veterinary medical certificate is issued. Becoming the prime supplier of gelatin in the local market. Opening channel of communication and propaganda in Islamic countries through attending exhibitions and conferences. Attain at least one customr in each Arabic and key Islamic countries. 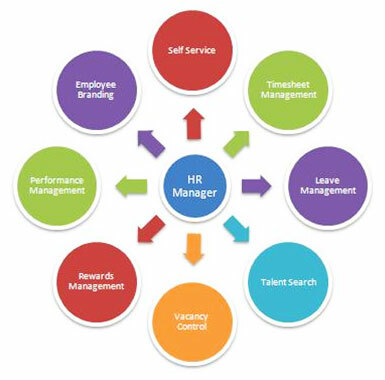 Attract high qualified management staff. 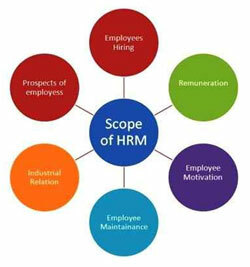 Continual evaluation of manpower and machinery. Continual training for the staff to the cut-of-the-edge methods of quality control. Maintenance and renewal of the installed machinery. Apply the modern standards of quality control. Achieving international certificates of quality control such as HACCP.